The date is circled on the calendar and plans are underway for the big event. 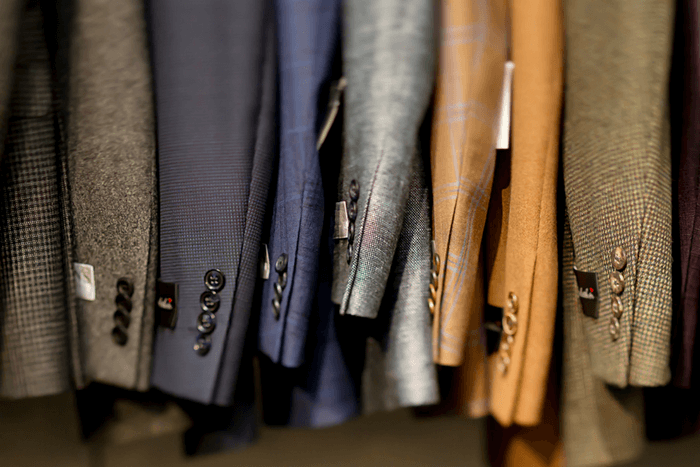 Whether it’s a wedding, prom or formal gathering that commands your best look, these men’s suit trends will ensure that you rock the hottest styles of the year according to fashion experts from Vogue. Classic black dominates the red carpet this season. Think sleek, classic black suits, black bow ties, black pocket squares, black vests, black polished shoes, and black socks. To show off your style, consider choosing the dark hue with a touch of texture in the vest or a side-stripe pant. This look pairs well with white or black shirts. You’ll notice classic button-up dress shirts are being replaced with more laid-back options this year. T-Shirts, thick cable knit sweaters, sheer cashmere and patterned vests without shirts are popping up under suit jackets. As a contrast, the Spring 2018 menswear collections are also full of splashes of color. Opt for a blue suit, and accessorize with bright or pastel ties, pocket squares, and socks. If you love color, wear it with pride in 2018! Tailored formal wear shines over draping cuts. 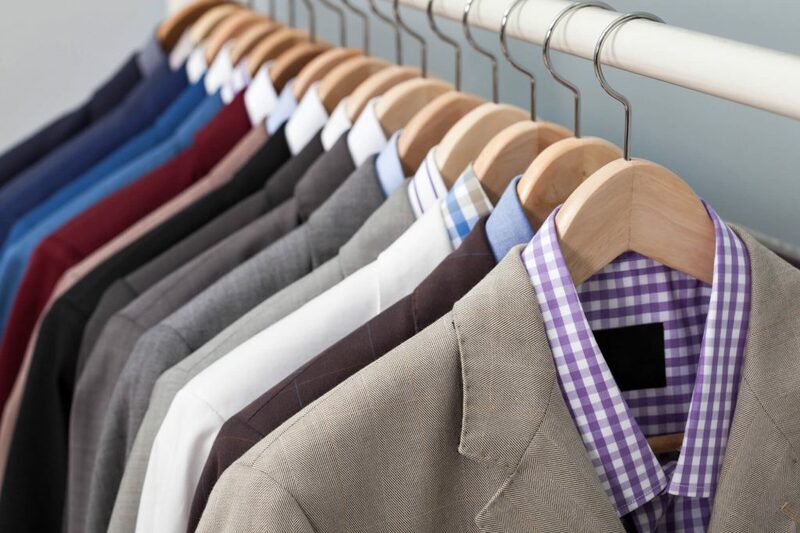 We love the ultra slim and slim fit suits. They don’t add bulk to your frame and make every man look polished. This year these slim cuts are popular in sterling grey and navy blue. 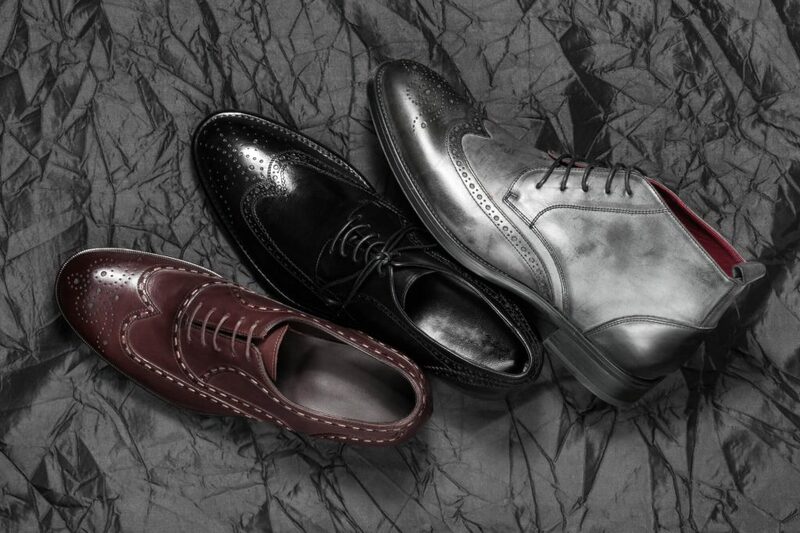 If you’re a shoe guy, this is the year to flaunt whatever makes you smile. The runways have seen suits paired with flashy cowboy boots (worn over slim-cut pants), soft moccasin style flats and color-contrasting sneakers. This is your chance to wear red kicks with a blue suit! Move over, polyester. Luxurious fabrics are hot for 2018. Expect to see velvet make a resurgence in addition to silk, wool, and satin. You can find these fabrics in whole suits, or as insets in lapels, side-striped pants, or vests. Finally, the cut of men’s suit pants is rising. Expect to see some that fall several inches above the waistline, often paired with suspenders for a 1920s look. This yesteryear style is paired with an open jacket to show off the pant details. Are you ready to find the perfect suit for your 2018 event? Browse the latest men’s suit trends with Jim’s Formal Wear online.